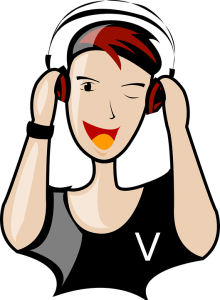 Finding the best podcast interviews can be a serendipitous adventure, or a deliberate feat. Sometimes it’s a social media post, or word of mouth, or a rabbit hole of awesomeness on the internet. We’re here to bring you a variety of 10 podcasts interviews we think are pretty top-notch, from some podcasts maybe you haven’t heard of before. Enjoy! Legends and Losers ™ is the show for people who want to create, design and dominate – in their lives, their business and in the world. Hosted by 3-time CMO, category designer, and “Play Bigger” Co-Author Christopher Lochhead…AND Colin Vincent, TedX speaker, master photographer and co-founder of Equity Directory. On episode 62, Christopher interviews an inspirational man. Born and raised in Compton, Judge Kelvin Filer is an inspiring man who comes from a family of activists and social advocates. What are his biggest life lessons? Why is his father such a big inspiration in his life? What was it like swearing his own daughter to the Bar? On this episode, Judge Kelvin Filer joins us to share his legendary life story. Listen to the entire interview with Judge Kevin Filer here. In the Stacking Benajmins headline segment from 10/13/17, Craig Cody helps with the looming October 16th tax filing deadline. What do you need to know to save as much money as possible? What do you do if you can’t file on time? What if you don’t have the money to file your taxes? Craig answers ALL of these questions so you’re prepared for any tax deadline. Listen to Stacking Benjamins, an award-winning podcast, here. 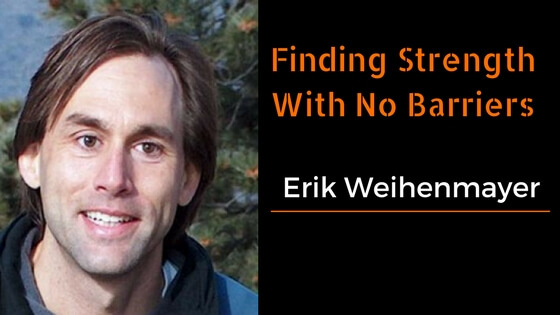 Erik Weihenmayer loves to rise to the challenge as a rock climber and adventurer. the best part is – he happens to be blind. His lack of sight doesn’t hold him back, and he loves to share his story to inspire others. Mark Goblowsky loves to share incredible stories of regular people and high achievers overcoming life’s most difficult challenges. These two had a great conversation. The Men of Abundance Podcast is a show for men who strive to be abundant in everything they do in Family, Faith, Finances and Fitness. Wally Carmichael, interviews men, women and couples who are truly living their life of abundance and have a powerful message to share with you. Where most podcasts hosts only interview entrepreneurs and top influencers, Men of Abundance is introducing you to people of all walks of life, income levels, and various vocations from gardeners, glass workers, Internet Marketers, Attorneys, Navy Seals as well as brand new business owners to seasoned top earning entrepreneurs. Jeff McManus grows things. As the Director of Landscape Services at the University of Mississippi, he grows plants…he grows people…he grows ideas. Taking his grounds employees, affectionately known as “weeders”, and developing them into “leaders” has been a joyous challenge that reaped acres of rewards in the form of national recognition by the Princeton Review, PGMS, Newsweek and every faculty, staff, student and visitor who has walked onto the Ole Miss Campus. Aaron Walker started his 1st of 8 businesses at 18 years old. He sold to a Fortune 500 Company at age 27 for well over $1 million. He has grown other companies to levels that partners never dreamed possible. John Lee Dumas was on fire to talk with Aaron about his journey and to help teach those who want to be entrepreneurs become successful. Connecting with The Nice Guys on Business may seem like an odd goal, but it works out so well in the interview. Getting healthy will help any business leader make a difference. 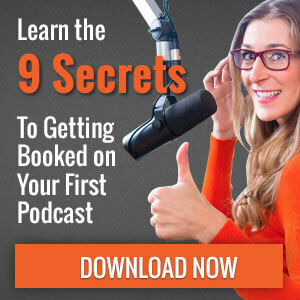 This is more than another tip-laden show for entrepreneurs – it’s about making a real difference in your own life so you change the world around you. Here is the great conversation: Stop poisoning your body and your mind. Dr. Phil Carson can help. Sam Mallikarjunan is a Marketing Fellow at HubSpot and former Head of Growth at HubSpot Labs, the somewhat-secret experimental arm of the world’s #1 Sales & Marketing platform. Sam teaches Advanced Digital Marketing at the Harvard Division of Continuing Education, and is the co-author of the book “How To Sell Better Than Amazon.” He also speaks across the country and around the world about startups, business and marketing. Change Creator is a digital network for motivated social entrepreneurs who are ready to break free from the norm and pursue a high-earning meaningful lifestyle that helps shape a better future. Adam Force and Sam brought the business knowledge – you don’t want to miss this. Wade T. Lightheart, host of the AWESOME Health Podcast, is a 3-time All Natural National Bodybuilding Champion, advisor to the American Anti-Cancer Institute and Director of Education at BiOptimizers Nutrition, one of the world’s most innovative nutritional supplement companies. From how to be a vegetarian body builder, to his involvement in the American Anti-Cancer Institute, Wade has a unique perspective on health to bring. Drew Taddia, host of the nationally syndicated Exploring Mind and Body, says his inspiration is all about helping people. He understands the frustration out there with so much information, too much information. Gimmicks, sales pitches and empty promises. Instead he offers quality information that people can trust and actually use. 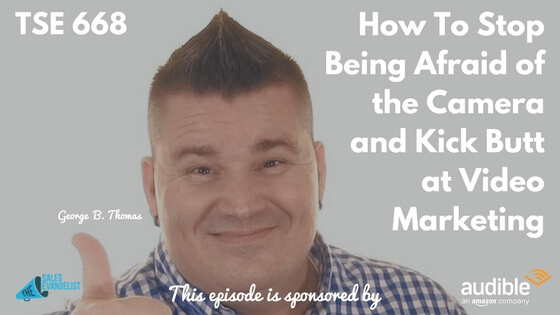 If you’re still not convinced of leveraging video in your business, then you’ve got to listen to this episode. Videos are an often under-utilized tool by many sales professionals, not realizing the impact it could have in gaining your customer’s trust. Donald Kelly, The Sales Evangelist, asks George B. Thomas to help sales leaders grow to the next level with video. The result is a dynamic interview for any business leader. Mark J. Podolsky (AKA The Land Geek) is widely considered the Country’s most trusted and foremost authority on buying and selling raw, undeveloped land within the United States. He has been actively investing in Real Estate and Raw Land since 2001 and has completed over 5,000 unique transactions. Mark’s company, Frontier Equity Properties, LLC, is an A+ rated BBB real estate company. Mark was featured on Cool Things Entrepreneurs Do to help other dreamers make things happen.